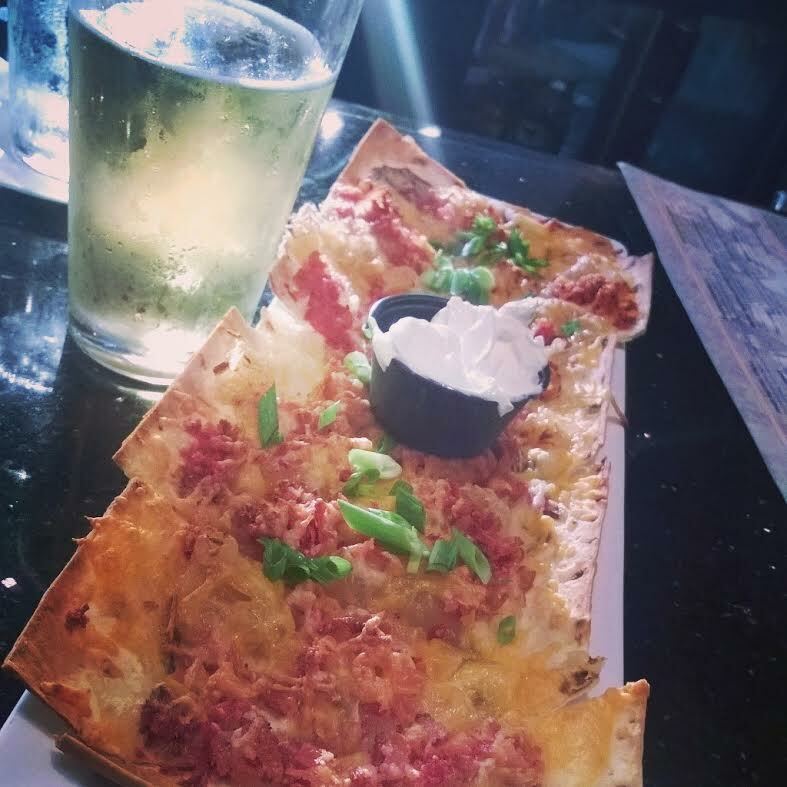 The pierogie flatbread at Bettis is certainly something different. Who would think of using mashed potatoes as a pizza base? What clever bastards. They list this appetizer as one of their signature dishes and I understand why. If you aren't from Pittsburgh, pierogies are entirely a novelty. This is easy to overlook once you have lived in this city for several years. I would say that at least forty percent of bars in Pittsburgh have pierogies on the menu. We might have more places to get pierogies than some large cities in Poland. This is very shocking when you consider the word pierogie has no entry in most spell check dictionaries and indeed no standard spelling at all. See perogi, pierogy, perogy, pierógi, pyrohy, pirogi, pyrogie, or pyrogy. In my opinion the dish was more like eating a potato skin than a standard flatbread. However, I appreciate the novelty and I found the flatbread quite enjoyable with the addition of sour cream. If you stop by Bettis Grill, be sure to visit the men's room. There is a one way mirror that allows for a pleasant view of the dining room while you relieve yourself at the urinal. Bon a petit!